Flashback Friday: 2001-02 Topps O-Pee-Chee Archives	Overall rating:	0	out of 5 based on 0	reviews. Well another week is in the books and that means that it is once again time for Flashback Friday. Once again I apologize for the delay on last week’s edition. Also for those looking for this week’s Tear-Iffic Tuesday, I elected not to write it as there were no mega releases this past week. However this week does have a Friday and the time machine is all gassed up and ready to go. This week we are headed all the way back to 2001-02 for the release of the Topps O-Pee-Chee Archives set. This product put forward a whole selection of cards that were essentially reprints of classic sets, as well as some very unique mem cards. So without further ado, let’s Flashback! As you may have guessed by the product name Topps O-Pee-Chee Archives pays tribute to the golden age of collecting, where the two companies ruled the day. 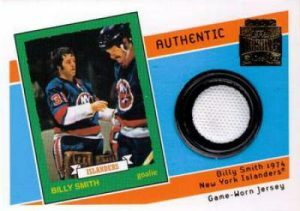 Often released simultaneously the two companies featured very similar card designs and served both sides of the border. 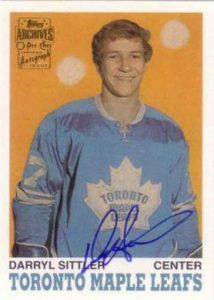 Topps was the card of choice for US customers, while O-Pee-Chee served Canadians. Historically the OPC cards have been the more valuable of the two, and the more sought after by both Canadian and US collectors. 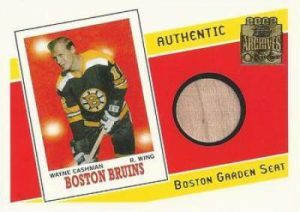 The base set for Topps O-Pee-Chee Archives consists of 80 cards that draw from a vast selection of classic designs, often rookies or second year cards. 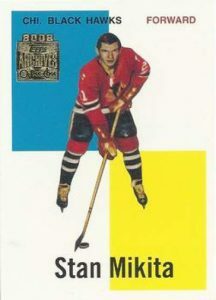 Focusing exclusively on the players of the selected era (50s, 60s, 70s, ect) these cards offer a glimpse into the past and show young collectors what hockey cards used to look like. The only major differences between these cards and the originals are the copyright date, and the inclusion of a foil stamp on the front. This would definitely be a fun set to collect. Below is a selection of these cards with an explanation of their origins. 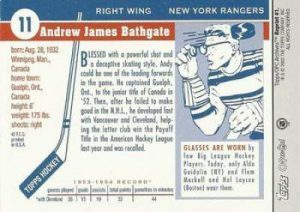 This classic image of Andy Bathgate stems from his second year card in 1954-55. Featuring a stark white background the player is the central focus of the front. Overlaid with a facsimile auto this is one of the classic card fronts of the 1950s. 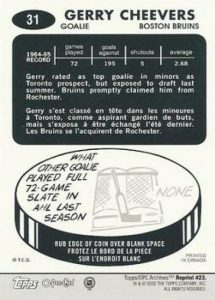 On the backside we see some great player information, as well as some NHL trivia. Produced in the age where Topps was king these cards are well deserving of being included in the Topps O-Pee-Chee Archives set. I’d be amiss if this card didn’t make me think of playing 4-square. 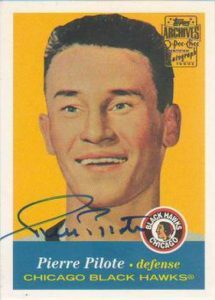 Based on Mikita’s Topps rookie card, the front features the legendary Hawks forward against a blue, white, and yellow segmented background. With his name in plain black type, this is a clear, easy to read card. On the back we have an orange lettering scheme that lays out Mikita’s stats. The majority of the card is taken up by a trivia selection that apparently required a red paper to be placed on the card to reveal the answer. This is out of proportion with the rest of the card, but is an interesting feature none-the-less. 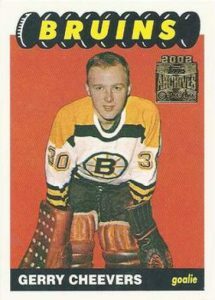 As far as legendary goalies go, Cheevers is often underrated. You rarely hear his name alongside Vezina, Dryden, or Roy, yet he is a legend still. 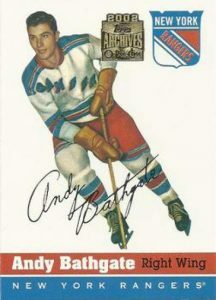 This particular card is a recall of his rookie year of 1965-66. I enjoy the look of the front, although Cheevers himself looks very small compared to modern goalies. The minimalist layout gets the information across without too much flash. The back of the card is similar in design to Mikita’s but this is in black. Additionally collectors need to rub a coin to scratch off the puzzle to reveal the hidden trivia answer. Cards like these are tough to find unscratched and command a premium when they are found. However since this is a remake the answer is revealed without need to scratch the card. 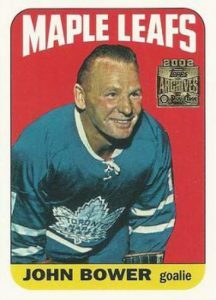 This may not be the most attractive Johnny Bower card out there, but it is still an example of the way cards looked in the 60s. The colour scheme of the front is not bad, although they could have probably found a better picture of Bower himself. 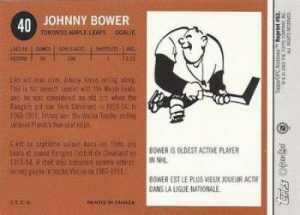 Far from being his rookie card, this is an example of Bower late in his career. I personally do not like the back of the card. I find that it is difficult to read the writing appears to be squashed and the brown colour is not appealing. I also feel that the trivia regarding Bower’s age could have been integrated without the cartoon player. This would have given Topps more room to work with. 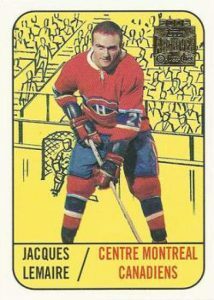 The last Topps/O-Pee-Chee Archives base card we look at is the 1967-68 Topps issue of Jacques Lemaire’s rookie card. This is a fun design that is reminiscent of today’s cards. The background features a rink scene, that although it is drawn rather than photographed, is a step towards the action shots we now see. The player is central to this card series and is clearly meant to be the draw. Unfortunately the yellow background lessens the visibility of the Topps O-Pee-Chee Archives foil stamp. The back of the card I black with white writing, something that is unusual, as you would expect to see black on white instead. 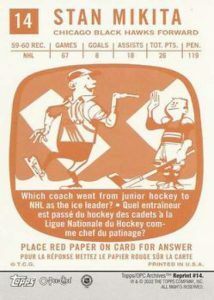 The card, like many from this era is in both French and English, a necessity for Topps prior to the emergence of O-Pee-Chee to the Canadian market. This is the first of two relic sets to be included in the product. 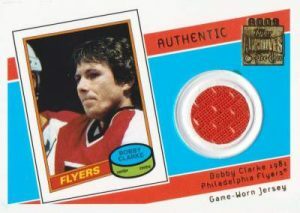 A major departure from what we see today, these cards feature not jersey pieces, but pieces of seats from the arenas in which the games were played. 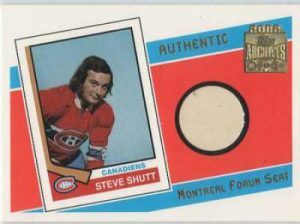 This means, in the case of Steve Shutt, that fans can own authentic pieces of the Old Forum, or that Boston fans can have seat pieces from Boston Garden. These arenas are iconic and I love the idea of owning pieces of them. In addition to the seat piece the front of these cards feature a miniaturized version of the player’s rookie card. 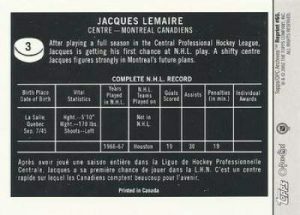 The backside of the card features the same layout as the player’s draft card. This leads to a variety of different styles for the set, something that collectors, especially vintage collectors can appreciate. The back also includes a holo-sticker used as a certificate of authenticity for the seat relic on the front. The second set of mem cards uses the exact same layout as the Arena Seats set, but instead of seat pieces it features game worn relics, specifically jersey pieces. 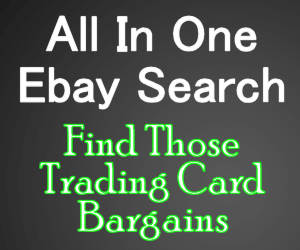 In today’s market jersey cards don’t usually command a lot of money, as they are extremely common. However 2001 was still early for mem driven products, so these would have been a bigger hit than they are now, especially considering the vintage nature. The autographs set is definitely a desirable one. This 30 card set maintains the product theme of old cards reprinted with a foil stamp added. However, unlike the regular base, these cards are autographed and have the COA sticker added to the back. Some examples of players featured include Guy Lafleur, Darryl Sittler, and Pierre Pilote. The big difference between this set and the base, besides the auto, is that this one seems to rely exclusively on rookie cards as their models. It is fairly clear that despite the name this set relies heavily on Topps cards rather than O-Pee-Chee. It is also very similar to other products that came out in 2001-02. The Topps Heritage set followed the exact same idea of old cards reprinted with mem, as did the Upper Deck Legends set. Additionally Topps also released a baseball version of Archives, which has a history of reselling very well. Personally I enjoy this product. It is not too big to collect the sets, and offers some very unique cards. For fans of veterans, or those who have an interest in the history of hockey cards, I’d highly recommend grabbing some of these cards. Love Our Content? Checkout Breakninja and Show Some Love to Them Too!